I've always known that June 14th is Flag Day; mostly because my birthday happens to be the day before Flag Day on June 13th. 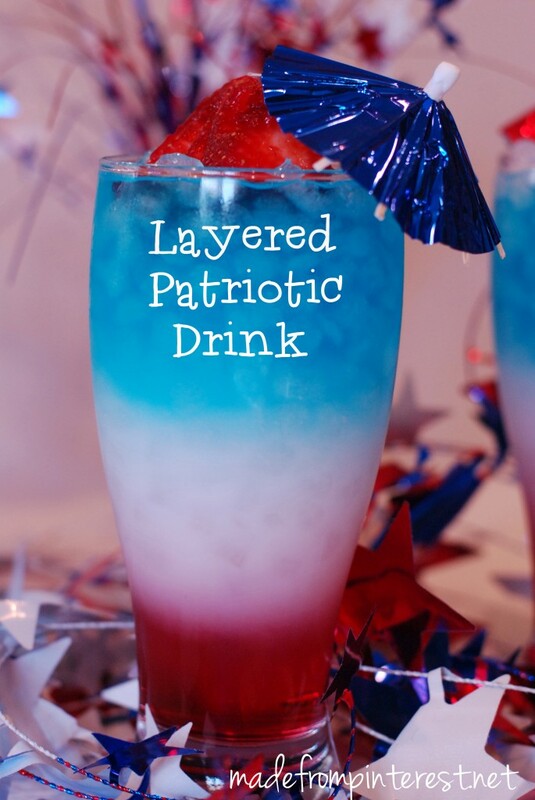 Other than knowing Flag Day was a day to celebrate the American flag, I didn't know a lot about the history or traditions associated with Flag Day until recently. Here are some things I have learned. "That the flag of the United States shall be of thirteen stripes of alternate red and white, with a union of thirteen stars of white in a blue field, representing the new constellation." Flag Day did not become a national holiday, however, until hundreds of years later. In 1916, President Woodrow Wilson issued the first proclamation to make Flag Day a national holiday. In 1927, President Calvin Coolidge issued another proclamation. Flag Day was not officially adopted by Congress until August 3, 1949, when President Harry Truman signed it into law. The earliest mention of a Flag Day celebration was in 1861 by a man named George Morris from Hartford, Connecticut. He helped organize a patriotic program in Hartford. Part of his patriotic program included praying for the service men. 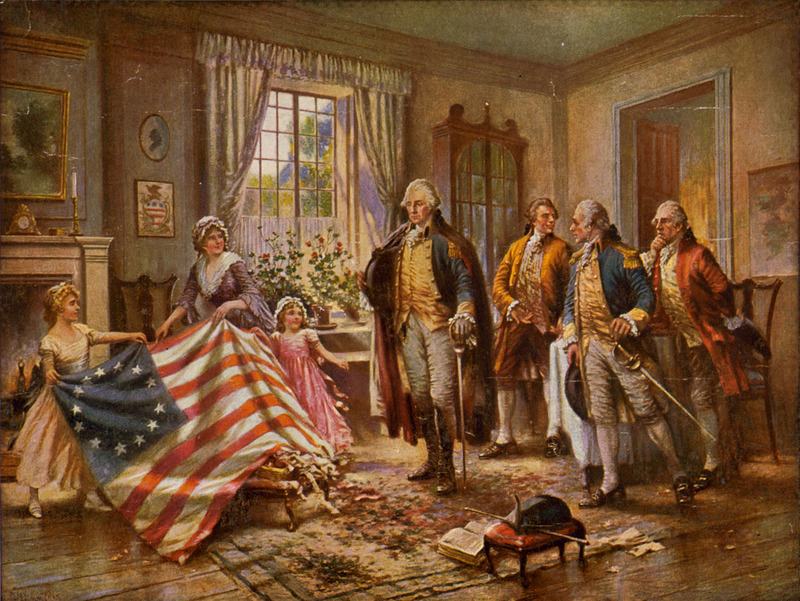 One of the most famous mentions of a Flag Day celebration was in 1889 by a Kindergarten teacher named George Bloch. Professor Bloch taught poor children in New York City and organized a patriotic celebration of the flag on June 14th. His celebration became a tradition and eventually, the idea of honoring Flag Day was adopted by New York's State Board of Education. Today, there are a few places in the country known for their Flag Day celebrations. Fairfield, Washington has been holding an annual Flag Day parade since 1910. Quincy, Massachusetts has held its annual Flag Day parade since 1952. Troy, New York, has a Flag Day parade that draws 50,000 spectators a year. In Three Oaks, Michigan they host a 3-day Flag Day celebration with a parade and many other festivities. But no matter where you live in the United States, Americans are encouraged to display Old Glory with pride on this patriotic day. In our neighborhood, the boy scouts place flags in all of the front yards on Flag Day. 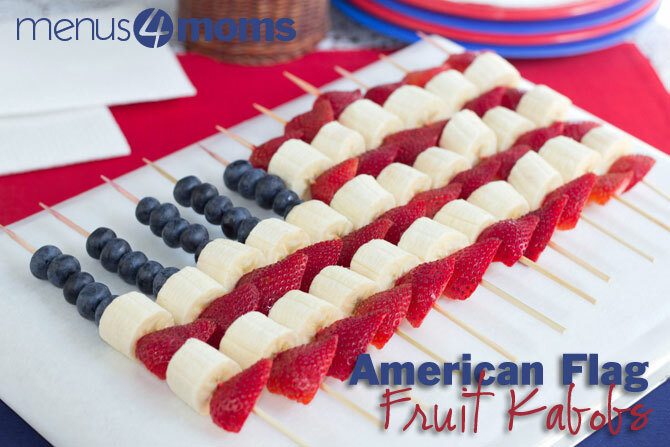 Since all holidays and good traditions come with food, here are a few "foodie" ideas for Flag Day. 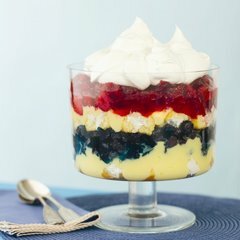 If none of these suit your fancy, try searching "Flag Day foods" on Google. There are a lot! 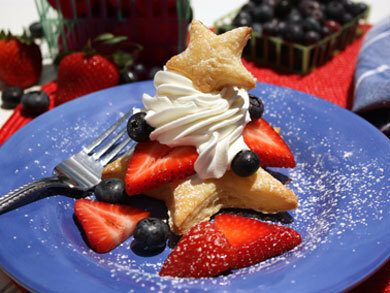 And if you can't make them all on Flag Day... no worries, Fourth of July is right around the corner!